Dr. Lisa Gallucci graduated from The University of Medicine and Dentistry of New Jersey/ Rutgers Dental School where she received her Doctorate in Dental Medicine. She also earned her Bachelor's degree in Biology from Rutgers University. Dr. Gallucci continues her education by successfully completing numerous comprehensive Advanced Dentistry programs. Dr. Gallucci is a graduate of well-known educational centers including The Dawson Academy For The Advancement of Dentistry, The Piper Education and Research Clinic, The Spear Education Center for Advanced Dental Education and Sleep Group Solutions Dental Sleep Medicine and is an Alternate Delegate for the New Jersey Dental Association (NJDA). Her training at the Piper Educational Center focused on the science and treatment of patients with temporomandibular joint (TMJ) disorders. Dr. Gallucci has extensive training in all phases of cosmetic dentistry from both Spear Education and the Dawson Group. Her training provides the skills necessary to offer patients an alternative treatment modality for those who are diagnosed with obstructive sleep apnea (OSA) and are intolerant to wearing a CPAP mask. Dr. Gallucci and her team are trained and utilize a very specific and effective technique to screen all their patients for sleep obstructive disorders and fabricate oral appliances. Dr. Gallucci is designated a Qualified Dentist through the American Academy of Dental Sleep Medicine (AADSM). Dr. Lisa Gallucci believes in providing her patients with the very best in oral and facial health care. She is constantly increasing her knowledge through her many dedicated hours of continued education and memberships in both local and national dental organizations. This allows her to keep abreast of the latest technologies and treatments available in this rapidly advancing profession of Dentistry. 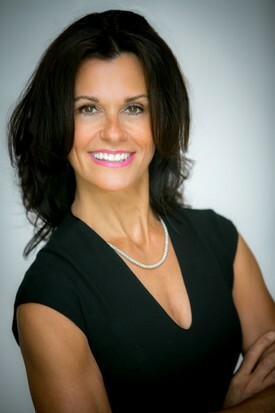 Dr. Gallucci's professional affiliations and participation include the American Academy of Cosmetic Dentistry, American Academy of Cosmetic Orthodontics, Academy of General Dentistry, the American Dental Association, American Academy of Dental Sleep Medicine, American Academy of Women Dentists, and the Southern New Jersey Dental Association, Spear Study Club and the Seattle Study Club/Pinnacle Dental of South Jersey. She loves learning, spending time with her family and friends, traveling, and fitness.